There’s no such thing as too much information when it comes to sleep and babies for new parents. Or is there?! Last year we looked at the Baby Safe iPhone app (which subsequently got the thumbs down from our helpful readers – check out the comments on that post) and also the futuristic Sikker concept monitor. 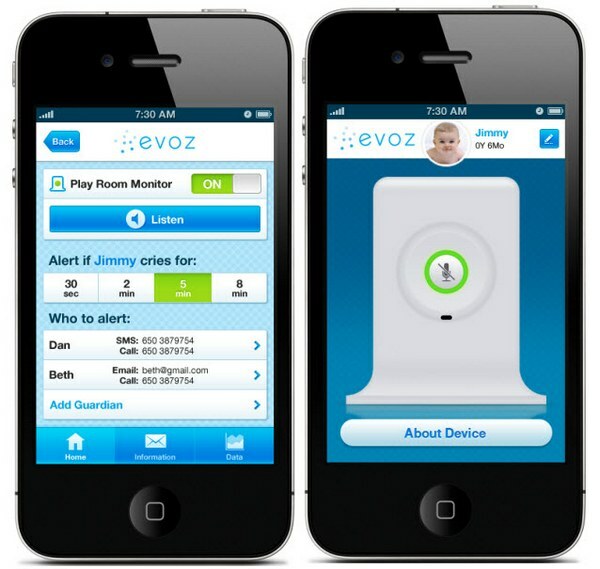 Well now there’s a new baby monitor on the way – Evoz. 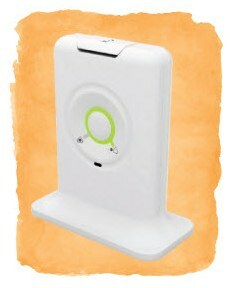 Although only being trialled at this stage, the Evoz baby monitor takes advantage of modern technologies without the clumsiness of having to position cameras and speakers. It certainly looks promising. Evoz works like this – a small monitor, with a ‘cleverness capacity’ equivalent to an iPhone, is plugged into an outlet in your baby’s room. The monitor includes an always-on application that allows you to call in from anywhere in the world to hear how your baby is sleeping (or exactly how hard he or she is crying). The application also allows you to receive optional alerts via SMS or email whenever your baby cries for longer than a specified time, for example five minutes – handy if you’re out to dinner and want to call the babysitter to ask how things are going! The application automatically collects data on the sleeping and crying behaviour of your baby. It can be analysed over time and also compared to ‘average’ behaviour of babies the same age (Listen up sleep-deprived parents, too much knowledge can be a dangerous thing!). 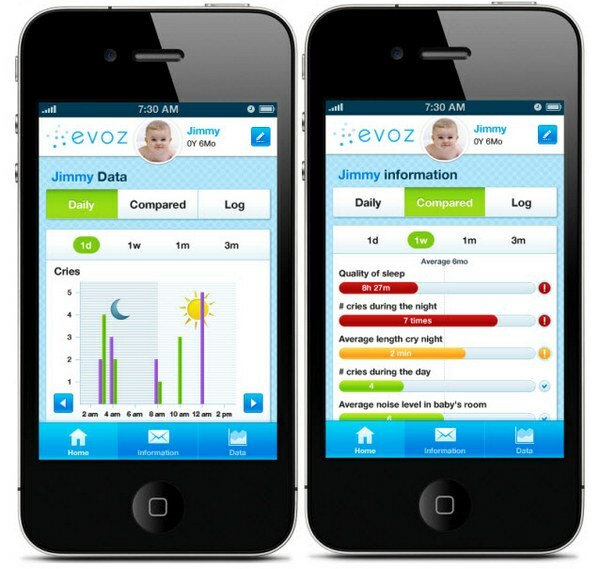 Evoz is still in the development stage but we’ll keep you posted.